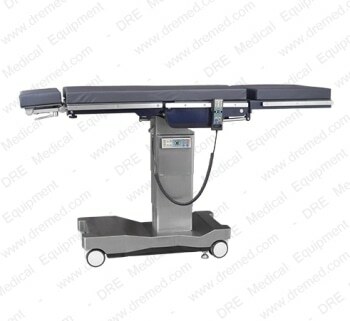 The DRE Torino Max Surgery Table is designed to suit a variety of procedures, including X-ray and C-arm use. Features flex and reflex positioning, and a total weight capacity of 1,000 pounds. Total weight capacity rated at 1,000 pounds. Large casters for easy and convenient maneuvering throughout any surgical facility. Remote lockout ensures table is secure before positioning the patient. Great for X-ray and C-arm use.